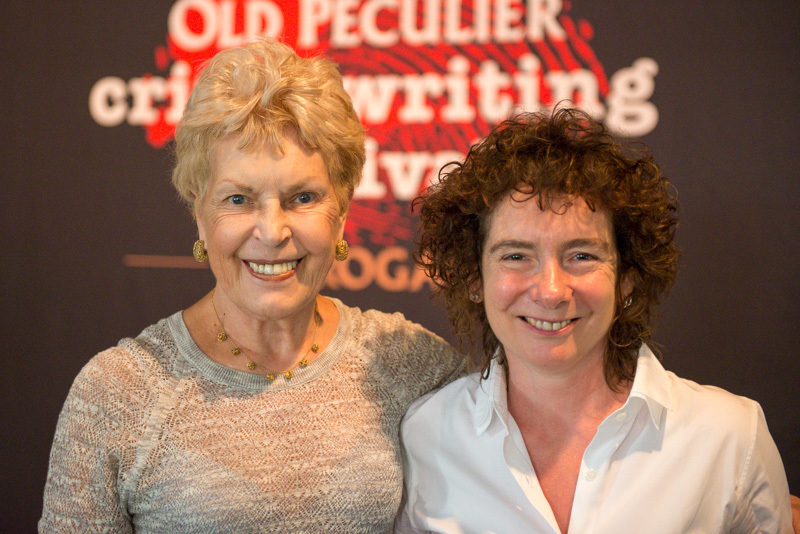 At first glance, the friendship between two of Britain’s best-loved writers, Ruth Rendell and Jeanette Winterson, might seem a tad unlikely. For starters, their fiction is radically different. And then there’s the obvious difference in age. Now in her eighties, Rendell is almost thirty years Winterson’s senior and, certainly in the friendship’s earliest days, she took on the role of nurturer. Winterson, whose relationship with the woman who adopted her as a baby was famously troubled, writes of Rendell with great affection in her memoir, describing her as ‘the Good Mother – never judging, quietly supporting’. This side of their friendship, reminded us of the maternal element to the relationship between Charlotte Brontë and Elizabeth Gaskell, despite there only being a six-year age difference in their case. Rendell took Winterson under her wing from the beginning. Hearing that the younger writer was looking for a place to stay, she invited her to move into her own home while she was abroad. She had no qualms about handing over the keys to someone she’d only just met, claiming to have known ‘at once that she was absolutely trustworthy and honest and honourable’. Rendell’s nurturing was professional as well as personal, leading Winterson to describe the older author – to whom she has sometimes even turned for writerly advice – as her ‘role model’. When Hammer commissioned Winterson to write a horror novel, she sought out Rendell’s guidance on how to maintain a page-turning plot. Winterson is keen to reciprocate the generosity in different ways, often for instance, buying Rendell gifts of earrings. But other attempts to treat her friend haven’t always quite gone to plan, thanks to Rendell’s more private nature. Winterson recalls how on the occasion of her pal’s birthday one year she’d thought of taking her out for dinner and champagne. But she says Rendell responded with ‘oh, do I have to?’ and so she ‘went round to her house and cooked scrambled eggs instead’. This incident, narrated with good humour by Winterson, seems to encapsulate both the differences and the closeness between these two women. It’s a simple memory, but, to us at least, it speaks volumes about an outwardly unusual literary pairing that transcends differences in creative output, age and personality. When Ruth Rendell offered Jeanette Winterson a place to stay, it made all the difference to the young author, who was then struggling to find somewhere to write. This month, we’ll be letting each other know about a time of our own when the help of our friend made all the difference. Do keep those recommendations for other pairs of writing friends coming in.